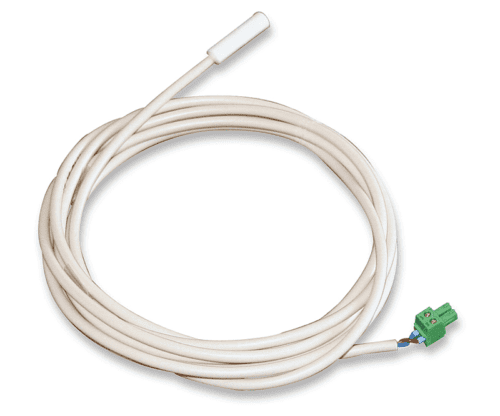 The Steca External Temperature Sensor PA TS10 | PA TS20IP10 | PA TS S external temperature sensors are used for monitoring the battery temperature. All Steca solar charge controllers have an integrated temperature sensor that makes them capable of adjusting the charging strategy to suit the current temperature conditions. The external temperature sensors are only required when the battery must be installed in a different room to the solar charge controller. The Steca PA TS10 is supplied with a plug for connection to the solar charge controller and a ring eyelet for connection to the battery screw. The PA TS20IP10 is supplied with plugs and a ring eyelet, making free cable selection possible. 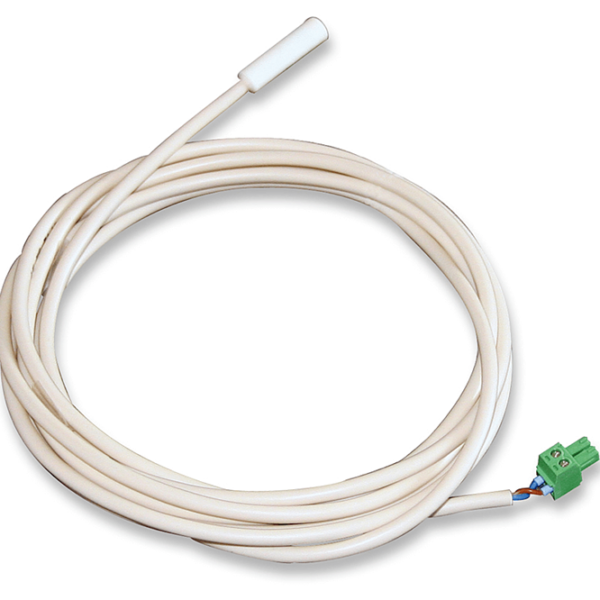 The external temperature sensors are suitable for use with Steca PR 10-30, Steca Solarix, Steca Solarix MPPT, Steca Power Tarom, Steca PR 2020 IP, Steca Tarom 4545/4545-48 and Steca Tarom MPPT 6000-S/6000-M solar charge controllers.